In July 2015, the Bayanihan Foundation supported travel to the Philippines with the NEXTGEN Fellows and the Kaluluwa Kolectivo. The following two blog posts reflect insights and experiences of that trip. In July 2015, I joined the Bayanihan Foundation NEXTGEN Fellows and participants of the Kaluluwa Kolectivo in donating over 1,000 books to the Iligan City National High School in Iligan City and to the Coticot Elementary School in Giporlos, Samar. 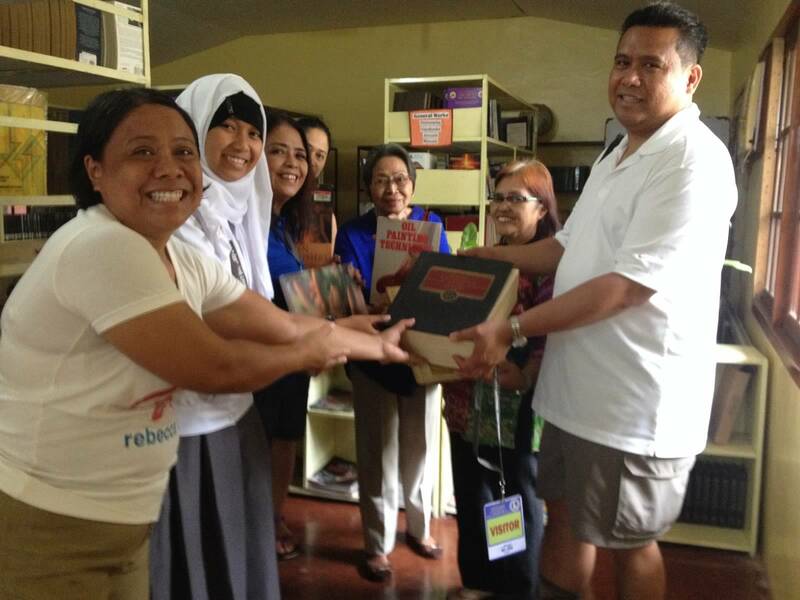 In 2013, members of the Iligan-Lanao Association of the Midwest collected used books in a book drive to help boost the library collection in these two schools. I am proud to involve the NEXTGEN Fellows and the participants of the Kaluluwa Kolectivo and show them the power of collective giving and of books and education; they are essentials for long-term sustainability and change. 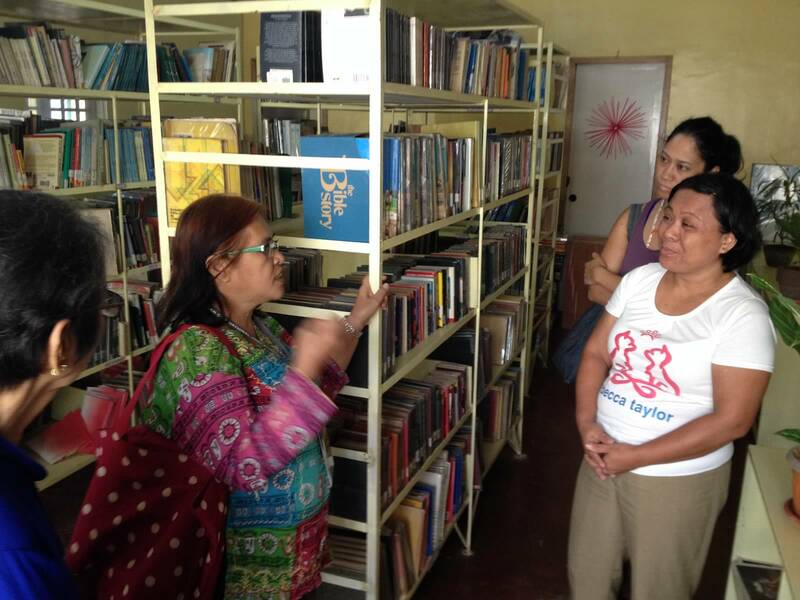 I was shocked to see that all the 1,000 titles of used books that the Bayanihan Foundation donated were already sorted and organized in the book shelves when we arrived at the Iligan City National High School library. The high school librarian Idamarie Navarro-Abejo was proud to show us the donated books already properly catalogued and shelved. I was most proud when I saw Amedah Dimangadap, 10th grade high school student arrived as soon as the library opened. Amedah was eager to browse through the stacks of donated books and started reading between the stacks. At that moment, I felt that the Bayanihan Foundation made an impact in bringing to Amedah and hundreds of other students like her the gift of books and education. In 2013, members of the Iligan-Lanao Association of the Midwest, led by Barbara Alban and Helen Tulen. My aunt, Mrs. Luz Saavedra, a long-term resident of Iligan City ensured the local connections and relationships for a seamless donation of these books. 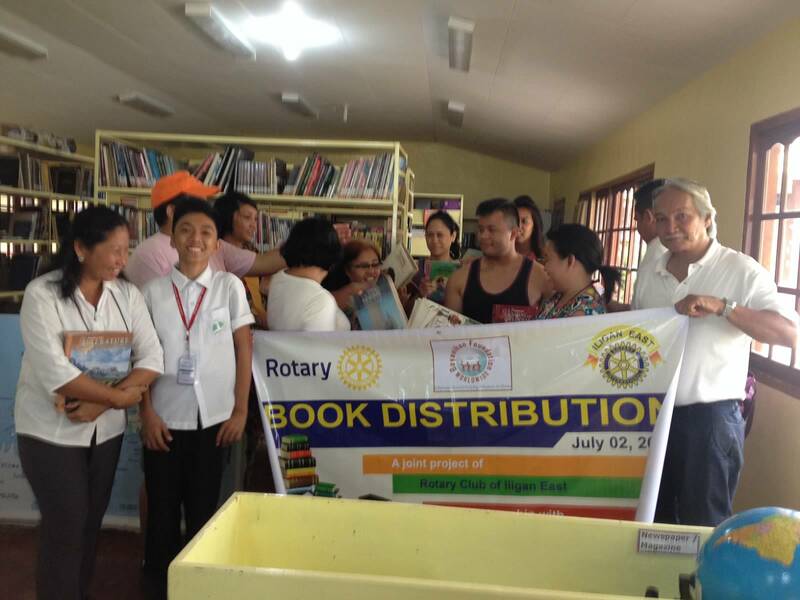 The members of the Rotary Iligan East also helped in the delivery and distribution of the used books. 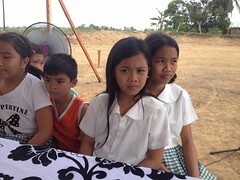 The Bayanihan Foundation also donated elementary school books to Coticot Elementary School in Giporlos, Samar. NEXTGEN Fellows Marc Butiong and Jeselle joined me in presenting the books to the students there. Coticot Elementary School teacher, Evelyn Alvaro picked Melinda Apuya, second grade student to go in front of the class and read from one of the books. I was astounded how wide-eyed and eager Melinda was in reading the books and other students eagerly crowded around her to read the book. At that point, I knew those donated books will also make essential impact for change at that elementary school. My hope is that the NEXTGEN Fellows see the valuable lesson of strategic giving and the power of books and education for long-term change. I hope that their visit to the Philippines has inspired them and that they could also make a difference in people’s lives – Filipinos living abroad can contribute to meaningful change to Filipinos at home. This entry was posted in Diaspora Donors, Diaspora Giving, Education, Uncategorized and tagged education, philanthropy, Philippine giving. Bookmark the permalink.